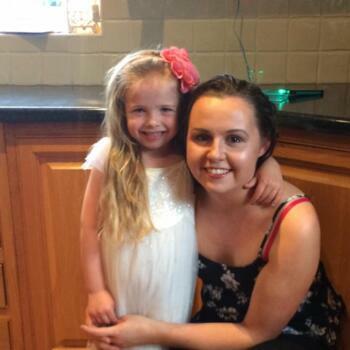 If you are looking for a babysitter in the Galway area- Rebecca has to be one of the best. I had a family wedding recently , and needed someone to come to our hotel to mind my 2 children over the course of 2 nights . I'm not living in the area so was nervous about having the children minded by someone new. I met Rebecca the week before the wedding and she put me at ease straight away .Upon meeting her , it is obvious that she is not only a lovely person but has a genuine interest in caring for children. Over the course of the 2 days, Rebecca was wonderful with the kids, she read them stories and kept them entertained, and put them to bed. She also kept me updated on how the kids were getting on etc. If I lived in Galway Rebecca would definitely be my choice of babysitter. I am happy to have Rebecca use me as a reference for the future.